Ever heard how difficult it is to get into the restaurant business and keep your doors open? Rates are often inflated for shock value, but this frequently cited study by Ohio State University pegs the percentage of restaurants that fail within the first year at 26%, and at 60% within 3 years.While the reasons for restaurants going under certainly vary, revenue can smooth out a lot of bumps for restaurants. 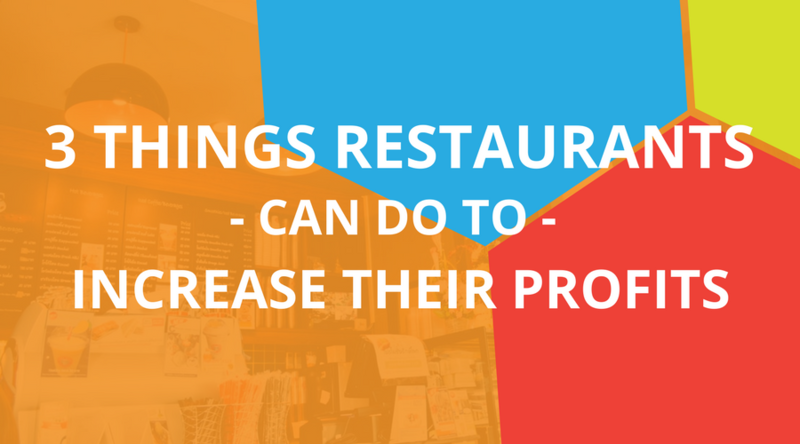 No matter how young or mature your restaurant, there are a few things you can do to increase your profitability. Business owners and managers must control costs to increase profits. For restaurants, this also means being mindful of shrinkage, which refers to all food inventory minus what becomes spoiled or deteriorates, what is wasted, and what is stolen. To minimize food shrinkage during meal preparation, emphasize to your chefs that being efficient and cost-effective is top of mind for your restaurant’s culture. While some meat is lost due to trim loss and cooking, and a sizeable percentage of produce is lost to peeling and coring, for instance, being frivolous with food waste should be unacceptable. It’s not all a guessing game. There are plenty of guides, studies, and tools for determining what your shrinkage rates should reasonably look like. Here’s one such handy tool that you can use as long as you have Microsoft Excel. Be vigilant about measuring your food waste, and conduct random inspections on whether your meal preparation process is making the cut. As for addressing the other two aspects of shrinkage, ensure you’re storing everything at the proper temperature and be aware that employee theft, unfortunately, exists. Installing cameras and conducting thorough background checks on your employees can help deter such behavior. Continually emphasizing a collaborative, responsive, and efficient work atmosphere costs you nothing monetarily, but can confer huge monetary benefits over the long-term. And long-term focus is what you need to stay profitable and in business. This strategy isn’t vague; it’s comprehensive. Out of the 12 Elements of Success in the study we mentioned at the beginning of this blog, half dealt with the management and social parts of your business. Invest in your managers by holding educational workshops on how they can better serve customers and manage employees. This will foster an environment of professional growth. Regularly communicate values and objectives to employees, and rationalize those values and objectives. Make all your workers feel like part of the greater team. Maintain a clear vision and mission for your restaurant’s strategies, but be willing to update and amend them as situations fluctuate or shift. Consider employees’ commitments to family and social life. Show you understand and empathize with extenuating life circumstances, for example, and consider closing doors for important holidays to communicate respect for their time. Allow for managerial flexibility by allowing managers to feel empowered and capable of making executive decisions in the moment. Regularly seek, and be open to, feedback and constructive criticism. Get involved with day-to-day operations from time to time to witness the criticism that needs to be said, but isn’t! People love working in efficient atmospheres where they feel respected, empowered, relevant, valued, and useful. Not only will maintaining such an atmosphere increase the quality of your customer service, but it will smooth out back-office and managerial operations as well. Even the coziest restaurant has many areas and situations that can pose huge safety hazards. Wet kitchen floors and dining areas can pose slip, trip, and fall hazards for both employees and customers. Hot liquids or steam can burn or scald employees and patrons alike. Kitchenware that is sharp can cut an employee, and that which is heavy could fall and injure someone. For starters, you can be sure to keep all of your employees informed and vigilant about safety hazards. Tell some real-life stories from other restaurants and make the dangers come to life during training workshops. Be sure employees take safety seriously by mopping and drying the floors throughout the night, no matter how busy. Make sure proper signage and warning labels are in plain sight for all to see. All the safety best practices in the world can’t guarantee total safety. That’s why investing in smart, comprehensive general liability and workers compensation insurance policies for your restaurant is such a great idea. Want to ask a few questions and talk it out? Reach out to Thrive to find out which policies best fits your restaurant’s specific needs.